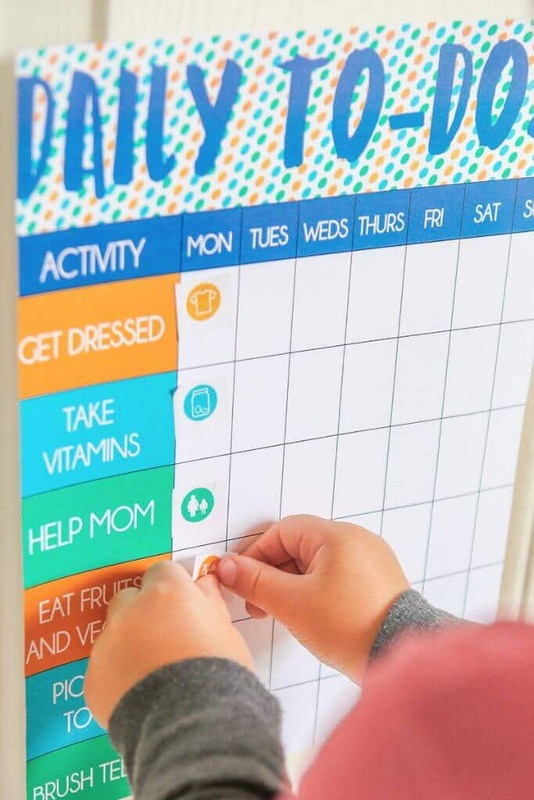 Help your toddler learn responsibility with this fun printable toddler chore chart and chore stickers to go along with it! 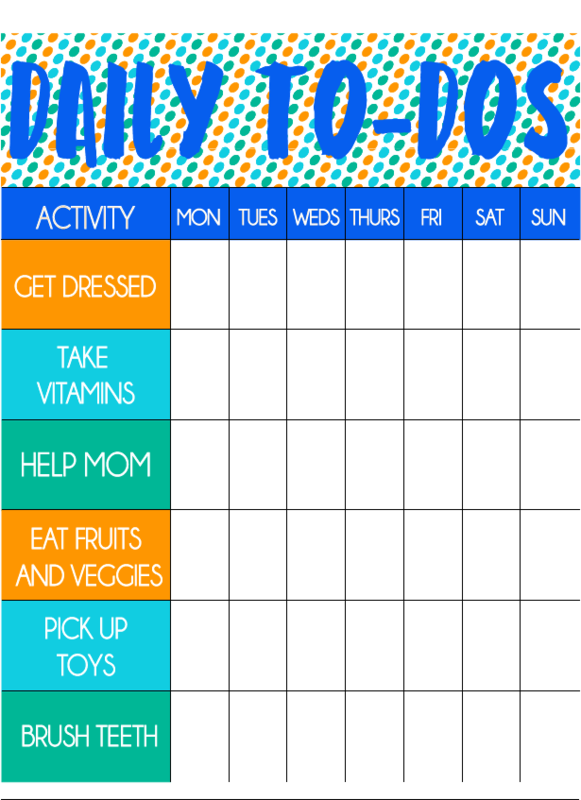 Thanks to OLLY for sponsoring this post and giving me a great reason to finally get around to sharing this toddler chore chart! 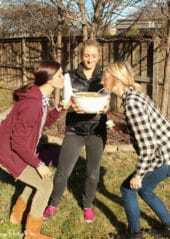 While the post is sponsored, all opinions and ideas are 100% honest and my own. Back in the day when my son was two (so like a month ago), my one goal for the day was to survive. Now that he’s 3, I’m beginning to feel the pressure to make sure he’s learning a little responsibility and understanding what it means to have a daily routine. It gets a little tough with all of our traveling but no matter where we are, there are six things that I encourage him to do every single day. 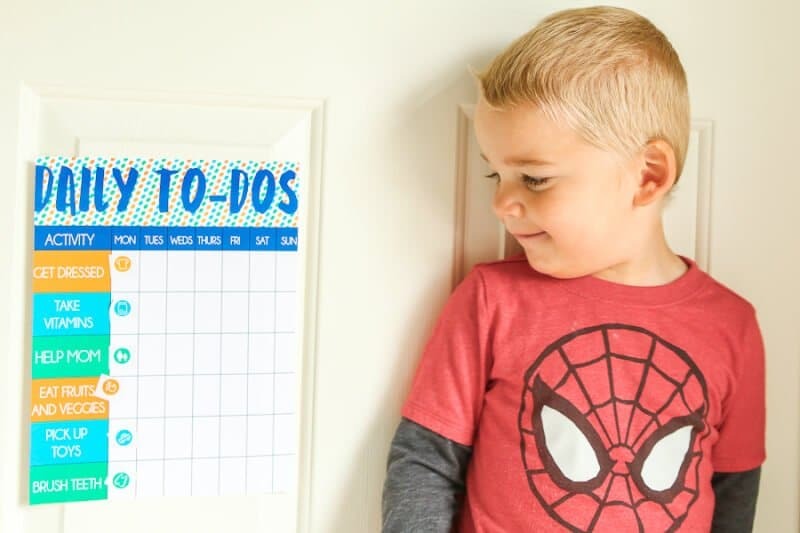 And since he’s a toddler and toddlers don’t like to do what you ask them to do, I made a free printable toddler chore chart that he can put stickers on when he does those six things. I only included six things on the chart so it wouldn’t be overwhelming. And so I didn’t have to help with more than six stickers a day. 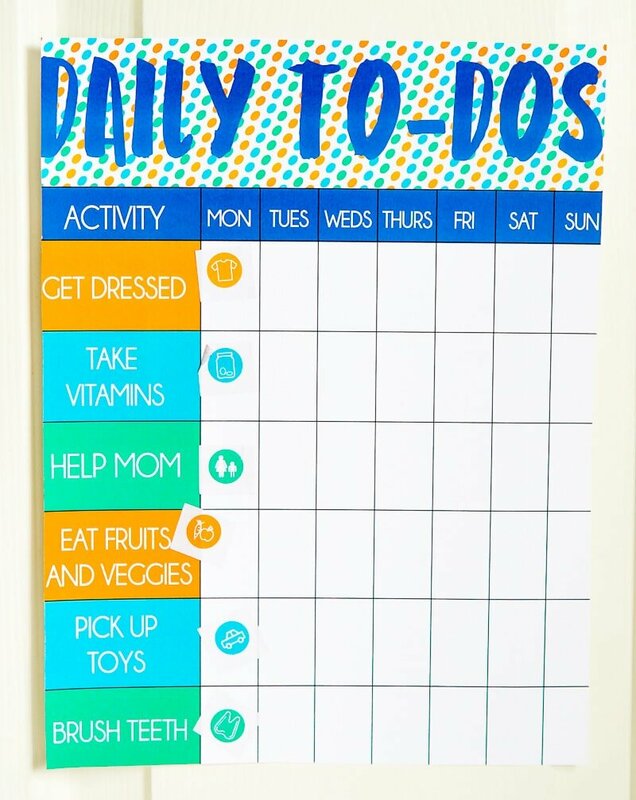 The six things we do every single day that made the chart: getting dressed, taking vitamins, helping mom, eating fruits and veggies, picking up toys, and brushing teeth. Out of those six, five are a struggle every single day. You’d think he would at some point realize that he has to brush his teeth every night before bed. 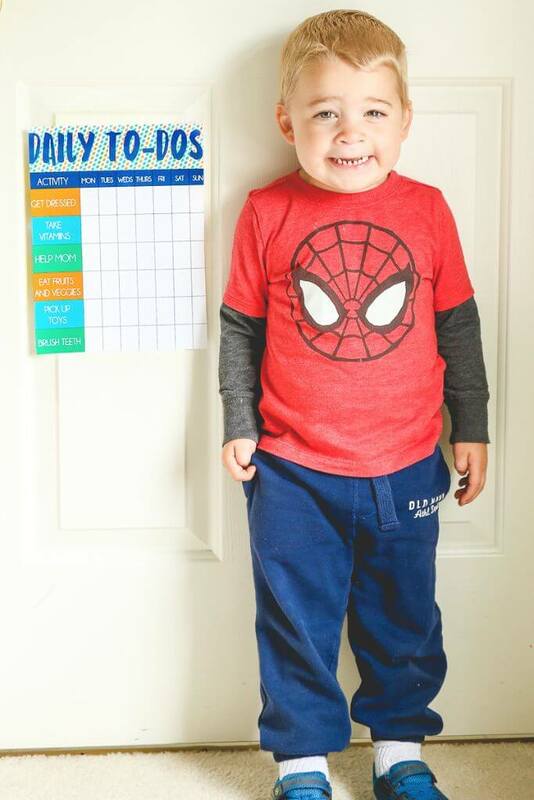 And that yes, he has to get out of jammies before going to preschool. Hasn’t happened yet. 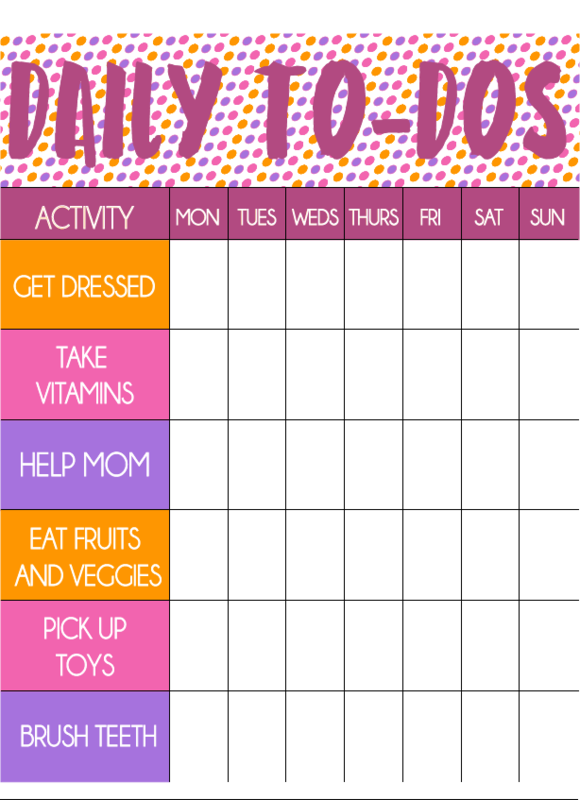 The only one that isn’t a struggle that I actually put on the chart for me and my husband is taking vitamins. 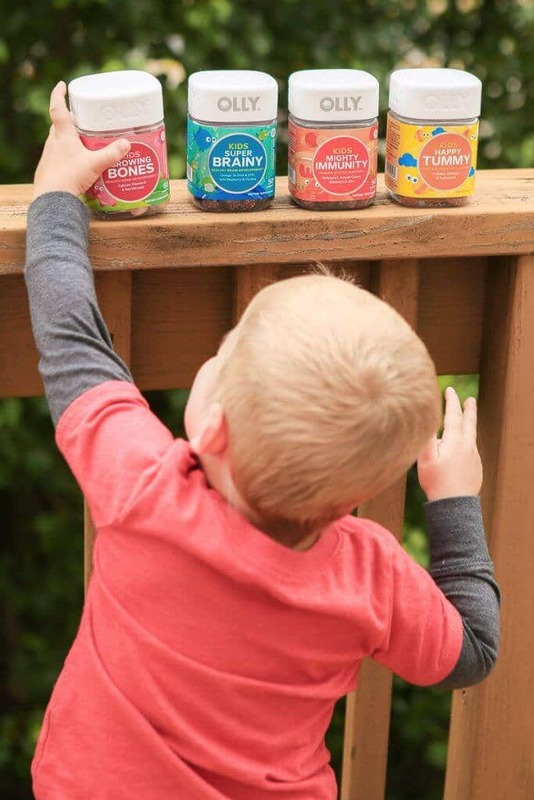 He LOVES his OLLY gummy vitamins. 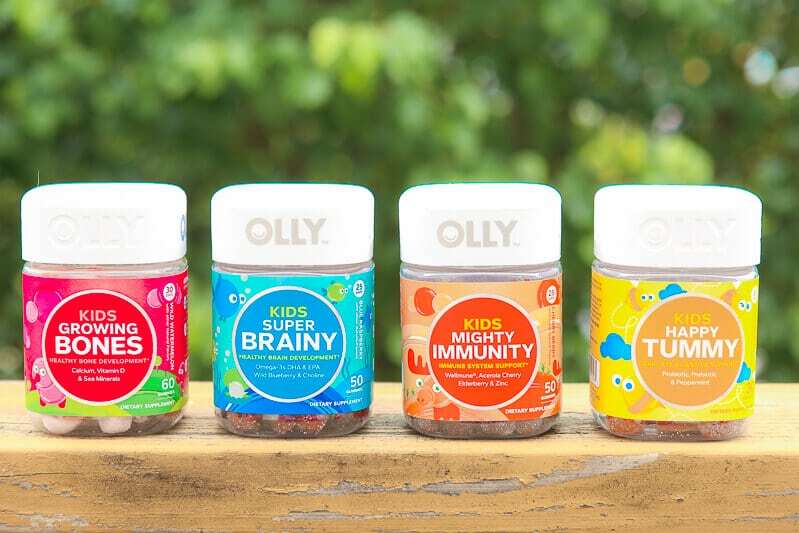 We have the whole kit and kaboodle of OLLY vitamins at home and he loves all of them from the ones designed for growing bones to the ones to help with a happy tummy. 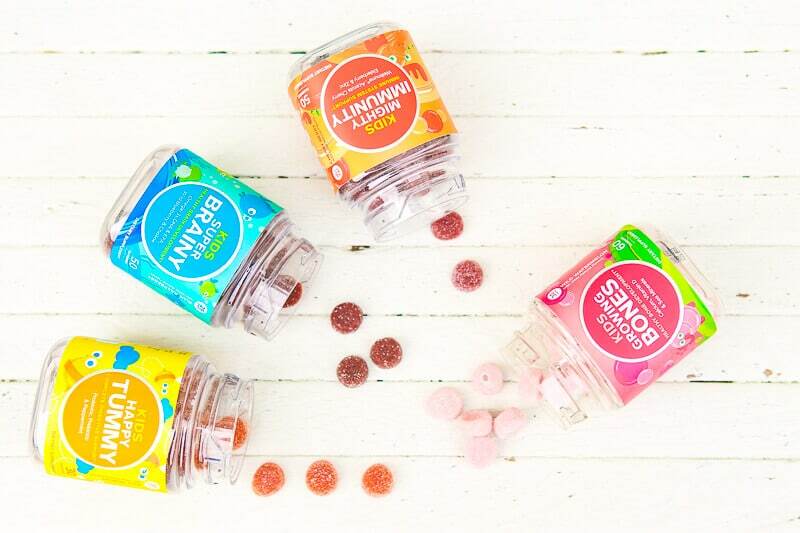 They’re colorful, they come in bottles with animals on them, AND they’re gummy. K likes to try and trick us into giving him more than the recommended amount. And my husband and I are never know if the other person already gave him his “gummies,” hence the sticker on the chore chart. I try to limit which vitamins he takes each day because if it were up to him, he’d just take them all every single day. We always do the multi-vitamin and normally the growing bones ones because he doesn’t get nearly enough calcium. And if we’re going on a trip, I’ll sometimes give him a Mighty Immunity one to help fight any colds before we leave. And his favorite? The blue Super Brainy ones; I’m sure it has nothing to do with his obsession with Finding Dory and fish right now. I love that taking his OLLY vitamins is one less fight for me to have each day. Although I didn’t quite have this in mind when I put taking vitamins on his chore chart. 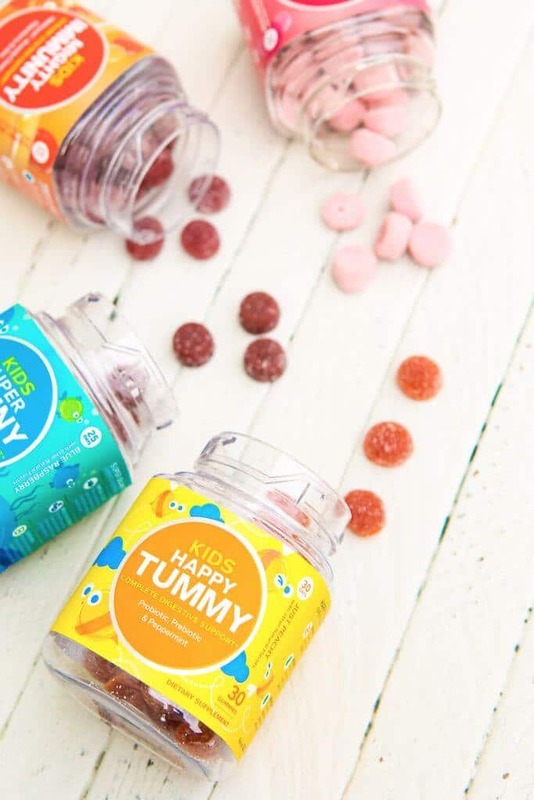 I swear, one day I’ll be able to take photos without a child’s hand in the photo or without that same child’s hand full of other not so healthy gummies to stay out of the photo. Today is not that day. 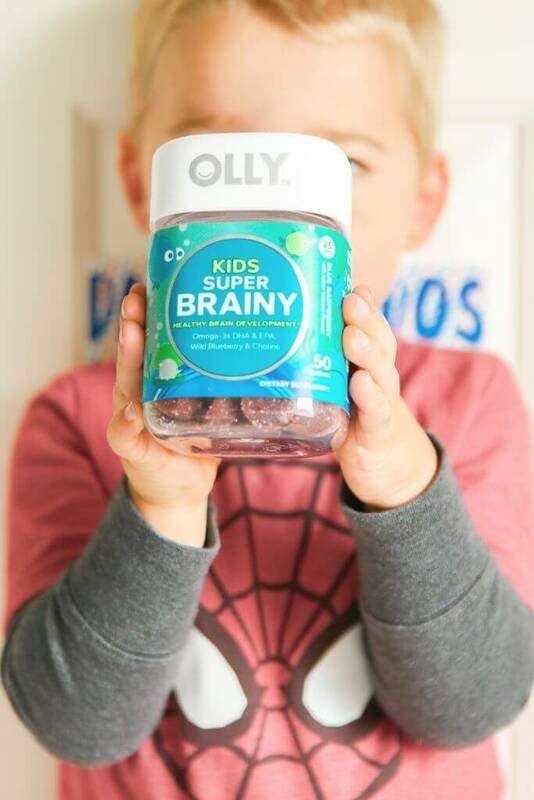 Want to try out OLLY Vitamins with your own family? 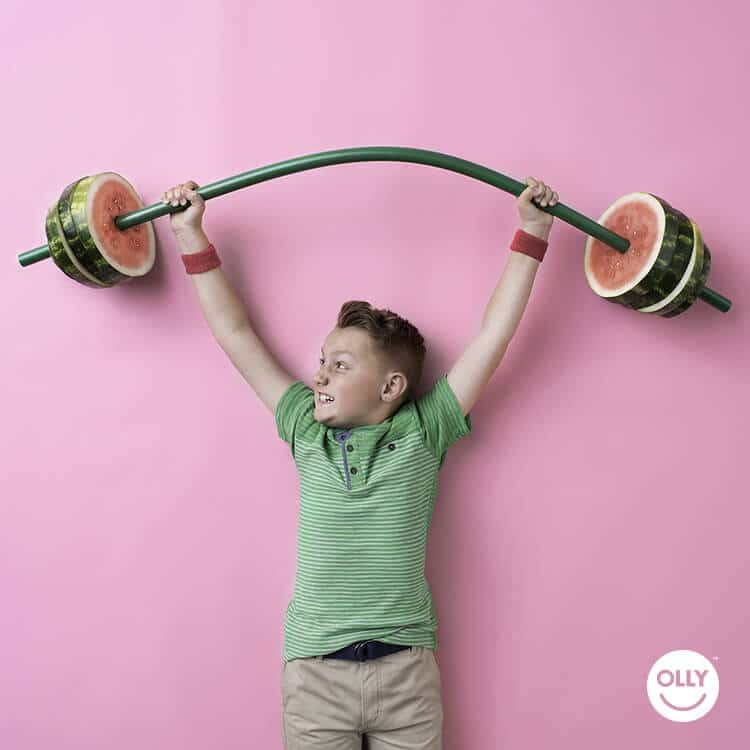 Head over to the Up, Up, and Away giveaway for your chance to win over $1,000 in prizes from OLLY including everything from a $500 Target gift to a year’s supply of your choice of two OLLY kid’s wellness boosts. Click on the image below to be taken to the entry form. But back to the chore chart. 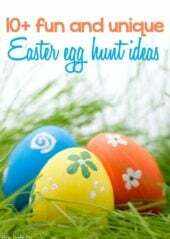 I created two different versions – one for boys and one for girls. 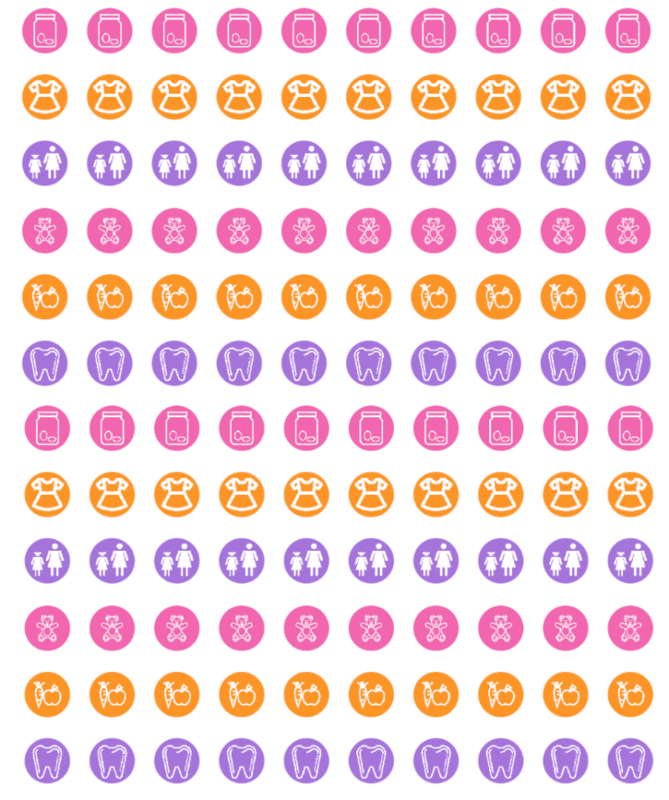 And along with the free printable charts, I actually created printable stickers to go along with each of the charts. I helped K figure out which image went with which line on the first day and he’s been able to do it on his own since. And I’ll tell you, the stickers have definitely been working. He actually got dressed without a fight this morning, and that never happens. I may even dare say he’s proud of himself when he puts the stickers on. 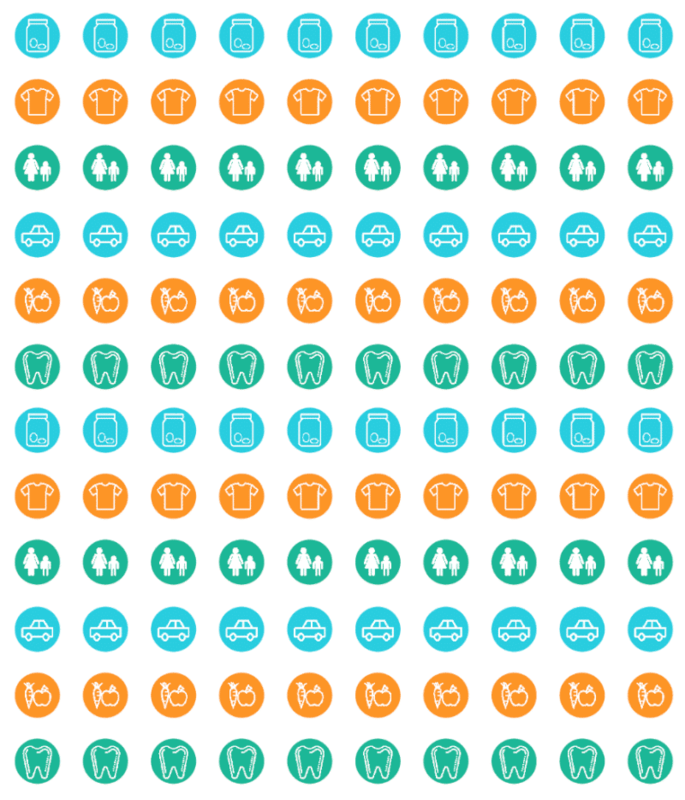 You can print the toddler chore charts and stickers by clicking on the images below. For the chore charts, I just printed them on white card stock. For the stickers, I printed them on a full sheet label and just cut into squares to create stickers. If you have a 1/2 inch circle punch (I couldn’t find mine), you can use that to punch out the stickers as well. Super simple and super effective. 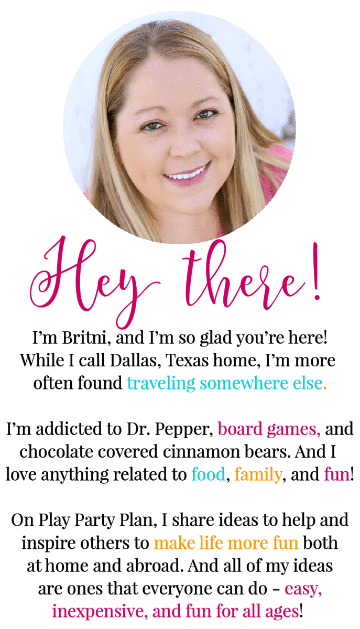 What is the biggest struggle for you with your kids each day? 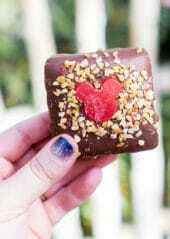 I absolutely love these!!! They’re so cute and very practical!